Treadmills are one of the most popular pieces of equipment in gyms, in fact, there are some people who go to the gym mainly, if not solely, for the treadmills. If treadmills play a major role in your fitness regime then you may find that your best option is to buy one for your own home. That way you’ll always have access to it whenever you want. 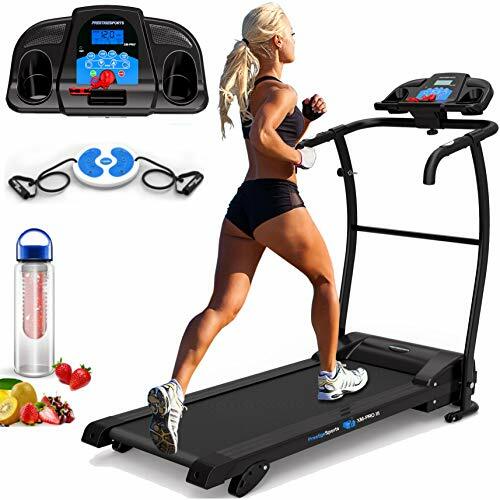 The good news is that competition in the treadmill market has seen some great options become available at really affordable prices. The bad news is that any significant market will attract its fair share of freeloading manufacturers, who just want to shift products in bulk without bothering about little details like safety, reliability or quality. That’s why we’ve put together this guide. We want to educate people about treadmills and, for convenience, we’ll add a list of our top picks with an explanation as to why. We stress our top picks are just our opinion, other people may differ and that’s fine with us. There are three key components to any treadmill, they are the running deck, the motor and the console. 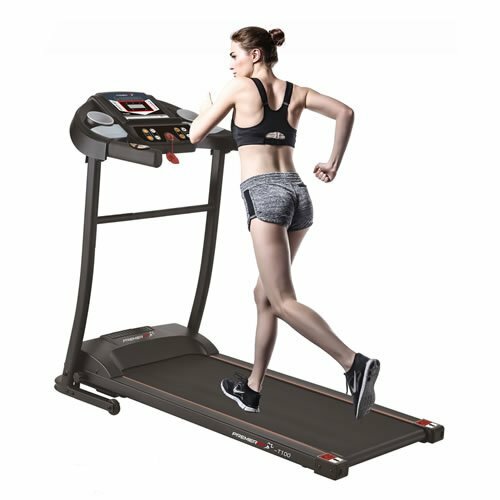 None is more important than the other, they all need to work together effectively for your treadmill to be safe, reliable and comfortable. Let’s look at them one by one. Even an entry-level treadmill will be kinder on your joints than running on asphalt. As you go up the quality scale, you’ll find that manufacturers put more and more care into the overall quality of the running deck, in fact it can become a major point of competition between different brands. Most treadmills allow for the running deck to be folded up when the treadmill is not in use, which means that effectively they take up far less space than you might think. The motor is what drives the running deck and as such plays a crucial role in the overall performance of the treadmill. In an ideal world, the motor should be neither seen nor heard. In the real world, the quality and quietness of the motor is another major point of competition between brands. In our opinion, one of the defining marks of a high-quality treadmill is the ease with which you can navigate the console. As a minimum, the console is the place you set speed and incline and is also where you enter your safety key, which will be used to shut off the treadmill if you fall. As you go up the price points, consoles will start to include higher levels of functionality, such as fans, speakers for your music and Bluetooth connectivity and they need to do this in a way which is still easy for the user to manage. For the record, we’d like to make it clear that there’s a fairly big difference between a console which works well and a console which looks good. Obviously it’s nice if it can do both, but in reality having a console which works well is far more important. If you read our recommendations at the end of this article, you’ll see we’ve recommended some treadmills where we weren’t huge fans of how the console looked, but we were happy that it did the job. Frankly, looking at the market as a whole it’s easy to see how people can get confused about what’s a good buy and what’s not. Some manufacturers at the lower end of the market try to imply that they offer the same sort of functionality as the more expensive brands, they just offer their products at a cheaper price because they know how to keep their costs down. In actual fact, what many of them are doing is preying on people’s ignorance by offering features which sound impressive while cutting back in core components such as the motor. So let’s rephrase. 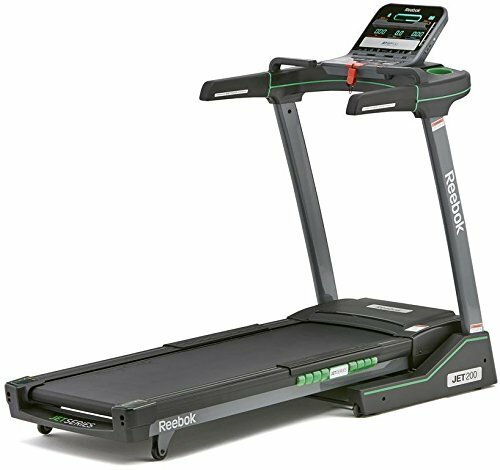 Assuming you are in the market for a decent treadmill from a reputable brand, what should you expect at each price point? At this price point, you should simply expect the essentials to be covered to a reasonable level. In other words, you should expect a running deck with some cushioning, a reliable motor and a simple console with basic functionality. Entry level treadmills tend to be more suitable for walking and jogging than serious running, although they can be handy as a back-up for when you can’t get to the gym or go out on a road run. On the plus side, the fact that entry-level treadmills are so basic means that they tend to be light and compact. You could even store them under a bed or in a cupboard when they are out of use. They also tend to be fairly quiet since they usually have fairly low-powered motors. In very simple terms, this offering from Fitnessclub is about as budget-friendly as it gets for people who actually want to run, as opposed to jog or walk. The running deck is just long enough and broad enough to allow for this and it does have a decent level of cushioning. Obviously, the speed is more limited than on higher-priced models, but still enough to give you a good workout. The most obvious compromise is the fact that this treadmill only has fixed incline, although, on the plus side, it is electric rather than manual. In most ways, the Nero Pro treadmill is pretty much what you’d expect for a decent, budget-friendly treadmill, i.e. it is capable of doing a reasonable job (relative to its price point) and you can expect it to stand up to regular use. 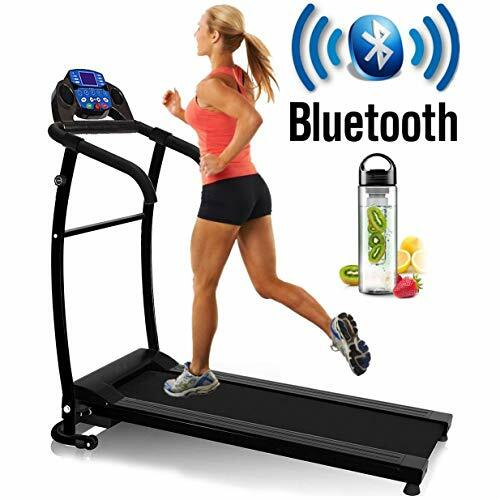 It does, however, have a bit of a trick up its sleeve in the form of Bluetooth connectivity, which not only allows you to stream audio from your mobile device, but also to connect your Nero Pro treadmill to a fitness app so you can log your progress and measure your improvement. If you’re looking for a treadmill for serious running, but you’re on a seriously tight budget then the PremierFit T100 could be your best contender for the simple reason that it has the longest and widest running deck out of the three models we’ve picked. It also has Extreme Grip technology to help you keep upright and a decent amount of cushioning. The motor is solid (and while it’s not the quietest we’ve ever heard, it’s not the loudest either). Again, the big compromise is the fixed incline but at this price point, that’s only to be expected. We’ve yet to find a sub-£100 motorized treadmill we could happily recommend. Of course, we’ll keep looking and if we find one we’ll update this article. There is, however, one sub-£100 manual treadmill we can happily recommend, which is the offering from Fitnessclub. 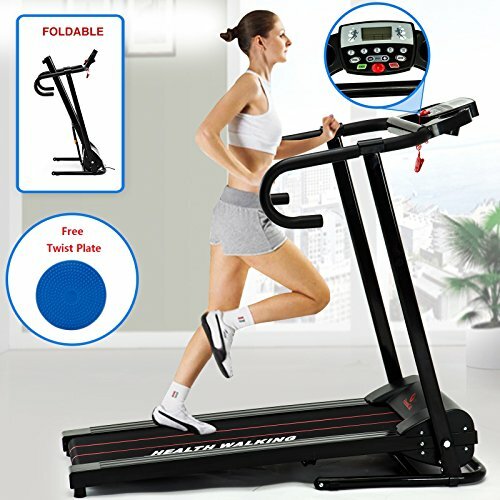 Obviously, you’re going to recognize the fact that manual treadmills simply cannot offer the same level of functionality as their motorized counterparts, but if you are mainly into walking (or possibly jogging), then this option is effective, compact and affordable. This is where life starts to get more interesting, for which you can read complicated. When you get to this price range, there are basically two ways manufacturers can go. They can start to improve the quality of the components or they can start to add functionality. Generally, when you enter the mid-range you can expect to see better components and then, as you head closer towards the upper end of the price range, you will see more functionality. For better components read larger running decks with more cushioning, more powerful motors capable of supporting higher speeds and more levels of incline and a console which allows for automatic adjustment of speed and incline (without you having to get off first). For more functionality read a greater range of pre-defined programs for starters and then move on to entertainment options such as Bluetooth. Mid-range treadmills tend to be noticeably heftier than their entry-level counterparts, so you will probably want to keep them in the same place, although generally speaking the running deck will lift up out to make them more compact when out of use. They can also be a lot noisier due to the more powerful motors, although some manufacturers have been working hard on this as they know that quiet motors can be a major selling point for some people. If you’re planning on running regularly, then realistically you should be looking at a mid-range treadmill or better. The Cardio Pro is Branx’ mid-range offering so, obviously, it has been pared back somewhat in comparison with the Elite Runner Pro, however, it still offers excellent value for both money and space and has become a very popular option with people who are committed to fitness, but prefer exercising at home to going to a gym. It’s also worth noting that the Cardio Pro is built to exactly the same high standards as the Elite Runner Pro and carries the same level of warranty, so you can have confidence in its ability to stand up to regular use over the long term. - 17Km/h Max Speed (10.6mph), 3.5 CHP Motor, 6HP Peak, 0-15 level Auto incline, 12 programs, 130kg Max User Weight. - Now with the Awesome LAP Feature. 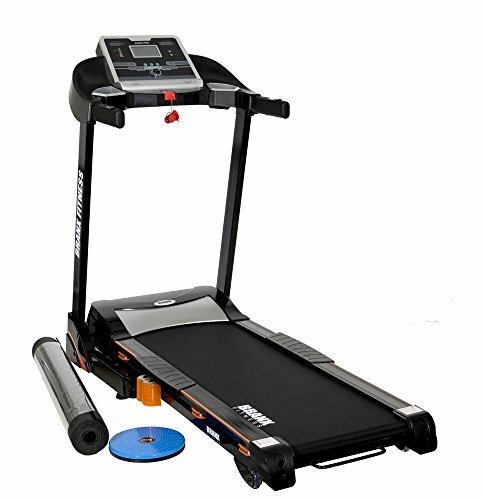 Foldable treadmill with amazing 'Smart Shock Absorption System' for maximum user comfort & support. Although JLL do actually have a successful line of commercial gym equipment, to the average fitness enthusiast, they are probably best known for producing solid, value-for-money home gym equipment and the S300 is exactly that. In all honesty, nobody could realistically class the S300 as being gym standard or even really close to it, but then it doesn’t need to be. At the end of the day, even a fairly serious home-fitness enthusiast is probably going to be quite happy with the speed, incline and programmes on offer and the build-quality is more than up to home use. PrestigeSports may not be the best-known brand there is but they’ve earned themselves a healthy (no pun intended) fan following thanks to their ability to pack in a whole lot of functionality at very affordable prices. PrestigeSports follow a strategy of covering the basics really well instead of trying to impress would-be purchasers with potentially impressive-sounding bells and whistles. As a result, even though this treadmill may look quite basic, you can trust it to stand up to the job even if you want to do proper running, as opposed to jogging or walking. While the Jet 200 is a premium offering, the ZR8 is a bit more budget-friendly and, of course, this lower price-point entails Reebok making a few compromises. So, for example, the motor is somewhat less powerful (although still quiet), there are fewer levels of incline and the running deck is both shorter and narrower (but still has the same cushioning system). Interestingly, there is only a slight reduction in the number of programmes. Overall, however, the ZR8 is still a very impressive piece of kit at a more affordable price. This is the point where you can look at gym-standard equipment in your own home. Rather like the move from entry-level to mid-range, as you move into the upper-range level you can expect better components, basically equipment which can take the sort of beating you can expect in a gym. Then you start to get all sorts of added functionality, often including the ability to link your treadmill with a fitness app such as iFit and then really high-quality entertainment options. Although Branx Fitness is a relatively young brand (established in 2008), they’ve shown that they have what it takes to go up against the big names. In fact, we rather suspect that in the future, they’ll be one of the big names themselves. 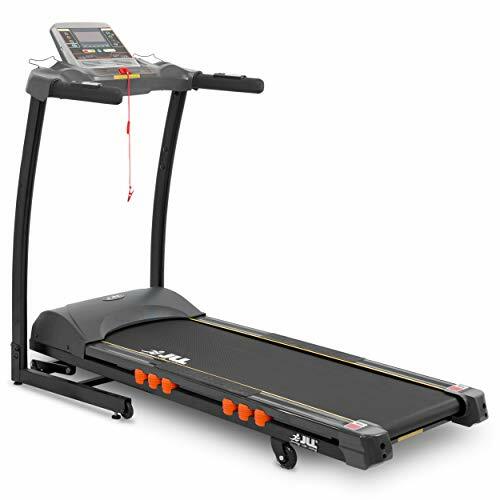 The Elite Runner Pro is part of their premium range and in addition to having a relatively high price tag, it also takes up a lot of floor space, but if you’re serious about running and want a real “gym-like” experience in your own home, then the Elite Runner Pro can certainly deliver. Reebok now makes a whole lot more than just sportswear. 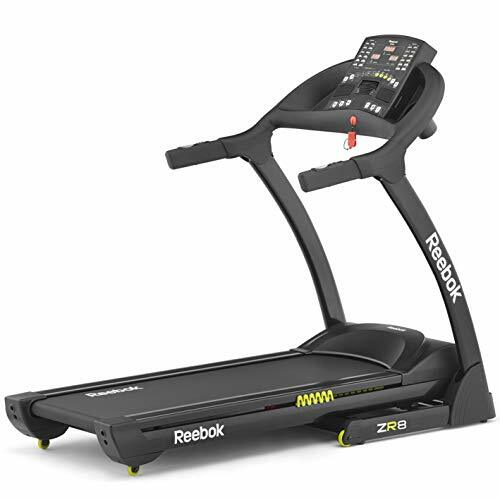 They have also become highly respected for their range of fitness equipment and the Reebok Jet 200 sits towards the top of their range. 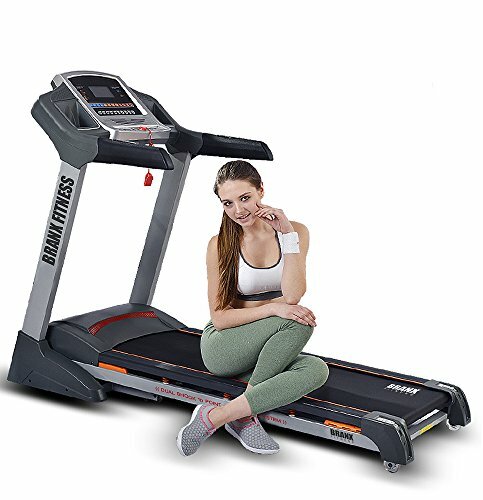 There are two main reasons why Reebok treadmills have become so popular with the home-fitness community, one is the quality of the motors and the other is the quality of the running decks, in particular, the level of protective cushioning they offer. In the case of the Jet 200, the running deck is also longer and wider than average. Feature Packed, Full Sized Running Machine from Reebok! As a basic rule of thumb, we tend to look at whether or not a treadmill has wheels to see if it fits our definition of “folding treadmill”. Basically, ever treadmill we personally have ever seen has had the ability to fold up the running deck, but to us that doesn’t make it a folding treadmill. 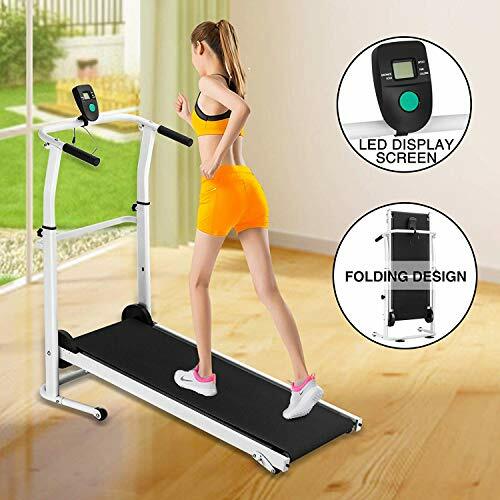 In our view a folding treadmill is one which can fold up so small you can easily take it between rooms and store it in the usual sorts of places between uses. Realistically if having the utmost in “foldability” is of key importance to you then you’re looking at an entry-level treadmill because the higher-level treadmills need to be bigger and heavier to hold the more robust components and support the increased functionality. Think carefully about this though because many of the mid-level treadmills are actually very compact out of use and they can offer so much more functionality for a very small amount of permanent floor space. Ultimately the difference between running on treadmills and running on the road boils down to one, single, fact – you’re in total control. Let’s go through what that means in practice. You have a high level of personal security. It’s a harsh thing to say but running outdoors on your own does carry security risks even in the safest of areas. Even without this, you still have to deal with whatever life can throw at you from the weather to drivers, cyclists, walkers and dogs. It can be much less stressful. The idea of de-stressing with an outdoor run is great in theory and it can work in practice, but running outdoors can also wind up getting you more stressed than you were when you left. Basically just as driving on a wide open highway is very different to driving in a city during rush hour so running in an empty park in perfect weather is very different to fighting your way through crowded streets. Using a treadmill can be so much less hassle. Running decks are made for running. They are smooth and level (in the sense that they don’t have any cracks or holes to trap your foot) and, most importantly of all, cushioned. Treadmills are therefore massively easier on your joints than any hard surface and hence your risk of injury is much lower. In fact, bluntly speaking, if you’re in a job where injury could lead to a loss of income, we’d say treadmills were the only way to go. When you’re in the great outdoors, you have a whole lot to think about. When you’re on a treadmill, all you have to think about is managing your running. That means you can focus on getting your running action exactly right, which can be a whole lot harder than it sounds until you’ve reached the point where it is an ingrained habit. In particular, if you are planning to do any serious running, you absolutely must learn to strike the ground with your toes rather than your heels and it can take a lot of practice to get to the point where you do this without even thinking about it. The cushioned and forgiving surface of a treadmill’s running deck is the ideal safe environment on which to work on this. When you run out of doors you have to work with (or around) the terrain. When you run on a treadmill, the terrain is exactly what you decide it is. You can run on the flat or on hills and you decide how long and steep those hills are and, frankly, if you change your mind, you can just change the relevant setting on your treadmill. If all you want to do is put in some cardio for fitness then a treadmill is a great choice, just put on your favourite music and run to the beat – literally. Alternatively, if you want to race, your treadmill can provide most of the training you need. With a mid-range treadmill or better, you can program in your chosen course and practice it until you know it inside out. You will still need to do some outdoor training to toughen your muscles and get used to running in the elements, but your treadmill could give your training a huge boost.